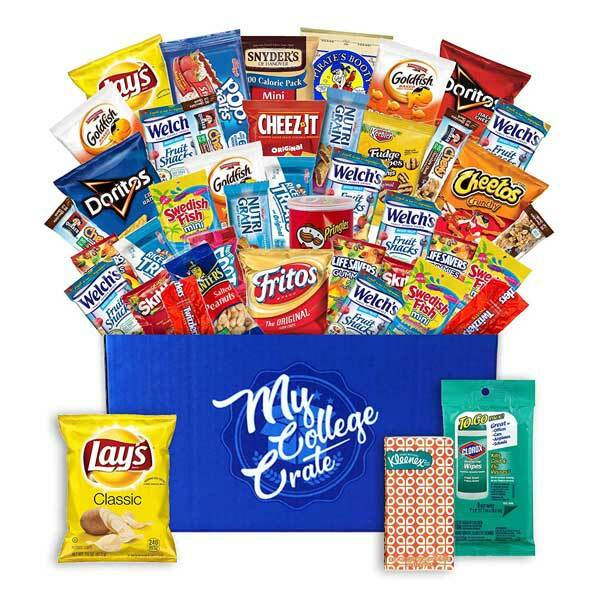 My College Crate Man Box Ultimate Men’s Snack Care Package for College Students provides a variety assortment of food, snacks and personal care items carefully selected to gives your child great options to pack in between classes or to munch on in their dorm rooms. Our College Care Package will help them during stressful times, such as mid-terms and final exams, give them fuel for late-night study sessions. Each Man Box Ultimate Men’s Snack Box will contain a total of 40 food and snack items such as beef jerky, pistachios, almonds, chips, cookies, granola, candies, and much more! Specific snack items and brands may vary.